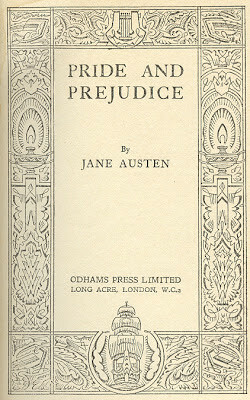 Happy 200th Birthday, Pride and Prejudice! First published in January of 1813, and still just as relevant as ever, minus a frilled bonnet or two. 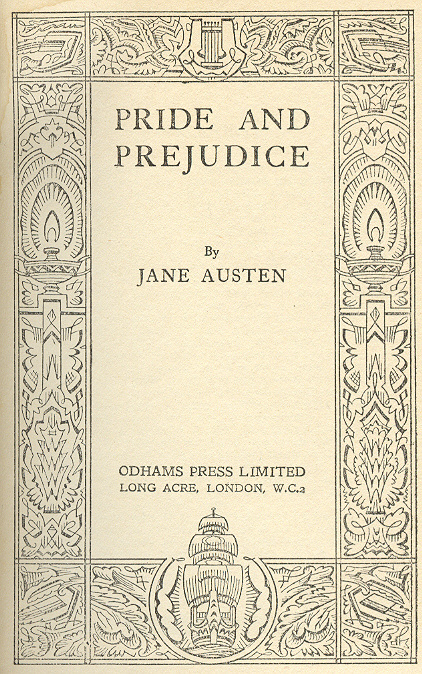 The first time I read Pride and Prejudice was the March Break when I was 15 and Lisa and I went to spend a few days with Carmen in Cornwall where she had started her first job as a speech therapist after graduation. I think I had read Emma the year before, and although I enjoyed the story, did NOT like Emma herself. She reminded me a little too much of a pretentious girl I knew and I'm afraid Emma's good qualities were overlooked as I melded the two in my mind. Emma has never been a favourite, and I suspect that early association is the cause. Elizabeth Bennet is something else, however. Never had I read a book about a character so quick-witted and playful, so adaptable and socially at ease that inspired me to better myself. Elizabeth Bennet was everything I wanted to be and felt I was not. She was my mentor and my guiding light, my model for unattainable ideal of womanhood for which to strive. If only I could think of such snappy come-backs, and craft my speech in such a polished and elevated manner! Melodramatic? Why yes! I was 15. But there remains an aspect of my own desire for self-improvement to Pride and Prejudice that for me is so often a part of characters I love. If only I had the patience of Margaret Hale in North and South, or the self-assurance in her own quirkiness of Muriel Pritchett in The Accidental Tourist, or the bravery and selflessness of Nancy in Oliver Twist. Self-improvement is not the only reason I loved books then, or now, but especially in the years between childhood and young adulthood these models of womanhood were something to hold on to. Of course, Mr. Darcy was also a big draw. While Elizabeth learns not to jump to conclusions about new acquaintances quite so quickly, it is Mr. Darcy's transformation that fascinates me the most. He learns through his interactions with Elizabeth how to overcome his extreme shyness and more honestly reflect through his physical actions what he is feeling and thinking. Shyness can often be interpreted as arrogance when we first meet an unfamiliar person; reticence in groups, holding oneself apart, social anxiety are all traits that Darcy exhibits when he is first introduced into the society surrounding Netherfield. Mr. Darcy overcompensates for his discomfort with emotional distance and erects his personal shield which is universally interpreted as arrogance. Not to say he isn't rude... but I think that after his initial snub of Elizabeth Bennet, Mr. Darcy has an opportunity to see more of her and regrets his rash words to Mr. Bingley. He is drawn to her (just as we all are!) because of her social ease, her playfulness, her lively nature and her beauty. He hovers on the edge of conversations, anxious to take part but not able to overcome his reticence enough to step outside his comfort zone. It is the Bingley sisters who are the real snobs in the Netherfield crowd yet when they are being their most cruelly snobbish, Darcy does not join in with their favourite hobby of Bennet-bashing. "Yes; but intricate characters are the most amusing. They have at least that advantage." Every body was surprised; and Darcy, after looking at her for a moment, turned silently away. [...] "Indeed, Mamma, you are mistaken," said Elizabeth, blushing for her mother. "You quite mistook Mr. Darcy. He only meant that there were not such a variety of people to be met with in the country as in town, which you must acknowledge to be true." Actors playing Mr. Darcy always seem to make this a moment where he is being intentionally unpleasant regarding the deficiencies of the country lifestyle, and snobbishly turn away from Mrs. Bennet as an unworthy conversation partner. I've always felt sorry for Mr. Darcy here, and feel that he is merely attempting to join the conversation by acknowledging a simple fact, only to be misinterpreted by the defensive Mrs. Bennet. The "after looking at her for a moment, [he] turned silently away" breaks my heart a little, for I think he turns away not out of pomposity, but of utter embarrassment. "Oh!" said she, "I heard you before; but I could not immediately determine what to say in reply. You wanted me, I know, to say 'Yes,' that you might have the pleasure of despising my taste; but I always delight in overthrowing those kind of schemes, and cheating a person of their premeditated contempt. I have therefore made up my mind to tell you, that I do not want to dance a reel at all - and now despise me if you dare." Poor Mr. Darcy. Shot down! During those evenings at Netherfield while he is circling around Elizabeth at a safely discreet distance, he makes little forays of interaction by trying to include her in conversations, by paying subtle compliments ("and to all this she must yet add something more substantial, in the improvement of her mind by extensive reading") but she only sees these in the light with which she first viewed him. But Elizabeth and Mrs. Bennet are not the only people who misinterpret Mr. Darcy's shyness for arrogance. It is generally stated a number of times that he was generally thought to be a proud and disdainful young man by the general population of Hertfordshire. His stand-offish manners are compared to the easy amiability of Mr. Bingley and he falls short. Because the general population is in awe of him because of his status as rich and powerful, they are disappointed that he does not take pains to put them at ease in his presence. This is too much to expect from such a painfully shy man, rich or not! With the responsibility of making acquaintances and conversation all on his side, poor Mrs. Long, and everyone else, felt snubbed when he did not "chatter on" to set her at ease. But, with the introduction of Miss Georgiana Darcy, about whom much the same opinion is held amongst the locals around Pemberley, we are given a clue as to how to read her brother's character. Miss Darcy and her brother appeared, and this formidable introduction took place. With astonishment did Elizabeth see, that her new acquaintance was at least as much embarrassed as herself. Since her being at Lambton, she had heard that Miss Darcy was exceedingly proud; but the observation of a very few minutes convinced her, that she was only exceedingly shy. She found it difficult to obtain even a word from her beyond a monosyllable. But Mr. Darcy begins to find his voice half way through the novel when, Elizabeth Bennet plays the piano at Rosings Park and he is able to respond to her more than a few words at a time. "You mean to frighten me, Mr. Darcy, by coming in all this state to hear me? But I will not be alarmed though your sister does play so well. There is a stubbornness about me that never can bear to be frightened at the will of others. My courage always rises with every attempt to intimidate me." Luckily for our reading enjoyment, Elizabeth Bennet becomes a little more reticent like Mr. Darcy, and Mr. Darcy in his turn gains some of Elizabeth Bennet's liveliness through their interaction and continued acquaintanceship. Like all the best marriages, they begin to understand each others true nature and motivations and value them. The real wonder is that after such a disastrous first impression they have enough opportunity in such a society to finally work out their misunderstandings and appreciate each other fully. Although the main obstacle Mr. Darcy is trying to overlook when he initially falls in love with Elizabeth Bennet is the behaviour of her family, he is given time as a result of her rejection to examine the behaviour of his own friends and family a little more closely. He blushes when he thinks of how Lady Catherine's arrogance and bossiness must be interpreted by Elizabeth. While Elizabeth is eventually able to recognize the truth of his intentions in retrospect by her own self-examination, Mr. Darcy is able to see what part of the misunderstandings have been a result of his own behaviour. Because they are both willing to adapt and adjust to their new perceptions they come together in harmony at last. Thanks for a lovely analysis, and a reminder that I really must read more Austen this year! Thank you, Samantha! It was an interesting re-read, and dare I say that after reading Persuasion so recently I believe P+P has been dropped from it's top spot after all these years? I believe it has (but just barely!). Lee-Anne, you are reading books faster than I can keep up with! It is years and years since I read P&P (a bit later than 15 years but not much! ), so I can't remember much about it. I have a big stack of books lined up for 2013, mainly John Steinbeck and Graham Greene and Scott Fitzgerald, but I might put some Austen at the bottom of the pile. After all, the Austen books have all been gathering far too much dust in the bookcase! Thanks for the visit, Helen! I have hopes of reading some Fitzgerald this year as well. I would like to give Graham Greene a try as well. When my brother moved he left some Greene with me but I've never gotten to them. I look forward to your recommendations! Lee-Anne, I've been absolutely loving Graham Greene recently. Most recently I read "A Burnt-Out Case" which is about the way that tragic events can unfold as a result of an innocent but careless action, as well as being about a lot of other issues as well. All his books are very different, although many have Catholic themes, not preaching but exploring issues. I also loved "The Quiet American". At the moment I am in the middle of "The Beautiful and Dammed" (Fitzgerald), and then I'm going to read "Of Mice and Men" because Eleanor is studying it at school this term. Oh, and we are having some Canadian weather here at the moment. Snow! I had a look for the Greene my brother left behind and it turns out there is just one: "The Comedians." Have you read this one, Helen? I will watch for his other titles since I trust your judgment in books! Erin is reading Ursula K. LeGuin's "The Wizard of Earthsea" for school and I'm waiting for her to finish so I can read it too. I've never read any LeGuin before. We've been hearing about your snow. The children must be enjoying it! Lee-Anne, I did read "The Comedians" many many years ago, and need to re-read it. Although I don't remember it in any detail, I would certainly recommend it, as I think it's usually considered one of Greene's "best" works! Eleanor and Nick are more into Ursula LeGuin; not really my thing although I've never read any so I can't really comment. Our snow is all gone now, and we are back to English weather. Rain! Right then! "The Comedians" just got a bump up in the To Read pile! I haven't read any Austen for years! Like you, I must have been about fifteen when I first read Pride and Prejudice. It's a classic that is so easy to read, and therefore I'll be sure to return to it. I love the female characters in it. Thanks, Lucy! I think we have a lot in common! I love all the layers of meaning in Pride and Prejudice; lots of scope for explorations about class and gender and customs and personality and relationships and on and on... Jane Austen was clever clever. This is so interesting. I love your interpretation about the conversation with Mrs. Bennet - I hadn't thought about it like that, but I agree with you now - about his trying to overcome his shyness, and being surprised when it is misinterpreted that way. So difficult for Darcy, to be attracted to liveliness, but not be able to match it! Thanks for your comment, Simon! There are so many situations in the book where Mr. Darcy pays a call and then sits quietly in the corner not talking to anyone. If he'd really wanted to show distain, I think he would never have gone on the call. I love how Jane Austen has drawn us into the false presumption of arrogance in the first half of the book while still offering little clues about his true personality. He does seem to surround himself with happy well-adjusted people who have a high regard for him, doesn't he! I completely agree that our view of Darcy is filtered through Elizabeth's poor opinion of him from the moment of their first meeting and I like how you've picked out the moments, unnoticed or at least unappreciated by Elizabeth, when he does attempt to be socialable and friendly. I am not fully convinced that Darcy's reserve is entirely down to shyness, though it is certainly a factor, or that his attempt at conversation with Mrs Bennet is anything more than basic, impersonal civility, the sort of meaningless exchanges that he would have made thousands of times before with slight acquaintances in town and in the country whom he had no interest in but equally had no interest in snubbing. Considering how combative Elizabeth is whenever he attempts to speak with her, I don't think a painfully shy man or an easily embarrassed one would be so tenacious and determined to pursue her. And I am thoroughly unconvinced that Elizabeth changes him all that much. We know he is loved and respected by friends and family long before arriving at Netherfield; that Elizabeth should come to love him - something made easier by knowing he already loves her, for it is always easier to fall in love when you are confident of your love being returned - has everything to do with her readjusting her opinions than with him making any changes in his personality. I think she is ready to fall in love with him after reading the letter. Despite his role in separating Jane and Bingley, she can somewhat understand his actions and recognize that Jane is at least partially at fault. Once these excuses are made, it is diffcult not to begin thinking the best of a man who is tall, handsome, and almost unimaginably rich, even before she sees the kind, more emotionally open side of his character during her visit to Pemberley. Darcy is far from my favourite Austen hero but I do love discussing him! Thank you so much for sharing your thoughts on Pride and Prejudice, Claire. I think the variety of interpretations is testament to Jane Austen's ability to create such realism in her characters. When I used the word "transformation" regarding Mr. Darcy, I suppose I should have said "the perception of his transformation.". I agree that he himself doesn't change so much as Elizabeth Bennet sees him differently. He is able to put down his guard and express himself to her in a manner that is more true to his nature when he is amongst friends. When Elizabeth and the Gardiners see him at Pemberley he is on his home turf, where he is most at ease - they have entered his comfort zone. And when she breaks through the wall of his reserve and speaks honestly and confidingly that he feels at ease enough to share with her an even more intimate view into his inner world than his friends see. I don't see him as scared of Elizabeth Bennet, but conflicted between his desire and his class training. There is a whole world inside his head about which we can only guess. I see his observant reserve as an indication of his introversion as much as of his reticence to engage in conversation. He loves being near Elizabeth but I think he is not afraid of her because she is playfully combative, unlike Mrs. Bennet. I think Mr. Darcy is my favourite male character because he reminds me so much of my husband! Loved this post! And clearly I need to revisit P&P this year: didn't realise it was its 200th birthday. :D I also love your header: so wintery and beautiful. Thank you so much, Eva! That means a great deal coming from you. It's been a snowy winter here - no grass since mid-October!